Addison never again attempted an opera libretto, clearly having soured on the form. 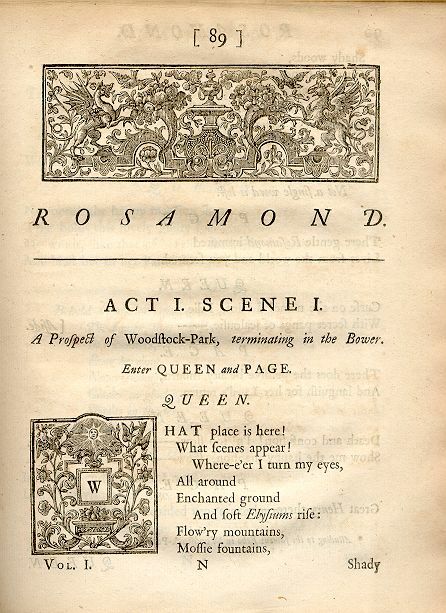 In the Tuesday, March 6, 1711, Spectator, Addison rails at the absurdities of Italian opera, singling out for ridicule the staging in Handel's Rinaldo. In particular, he makes light of the unleashing of sparrows in one of the opera scenes in order to enhance the setting depicting a delightful grove of trees. He asks why the birds had to be real when, in the end, their music "proceeded from a consort of flageolets and Bird-calls" which came from behind the scenes. "A little skill in criticism," Addison writes, "would inform us, that shadows and realities ought not to be mixed together in the same piece; and that the scenes which are designed as the representations of nature, should be filled with resemblances, and not with things themselves." Later in the essay Addison warns that freeing birds in the opera house may not be considered such a pleasant spectacle when they cause "inconveniences" to the heads of those in the audience. Clayton himself was essentially finished as an opera composer by the resounding failure of Rosamond. No. 20 of the Spectator and other numbers from time to time advertised 'The Passion of Sappho, and Feast of Alexander: 'Set to Musick by Mr. Thomas Clayton, as it is performed at his house in York Buildings.' It is unclear, however, whether these publications received professional productions.